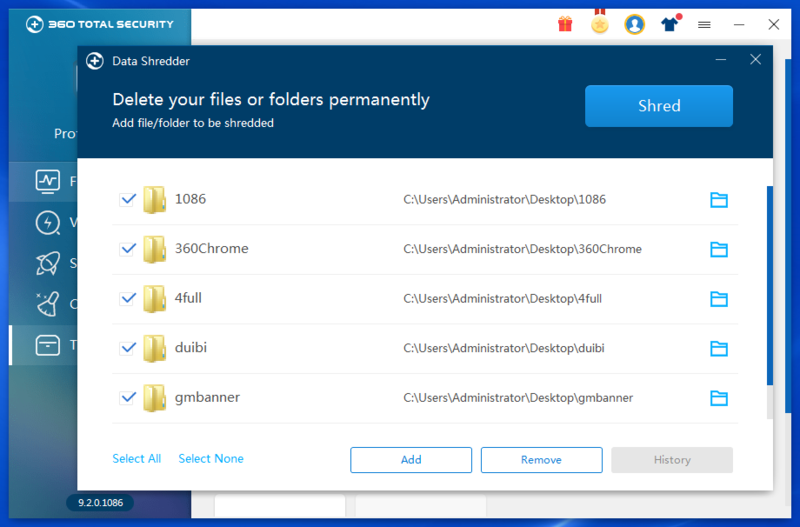 Data Shredder, the feature that has been long awaited, is now added to 360 Total Security. 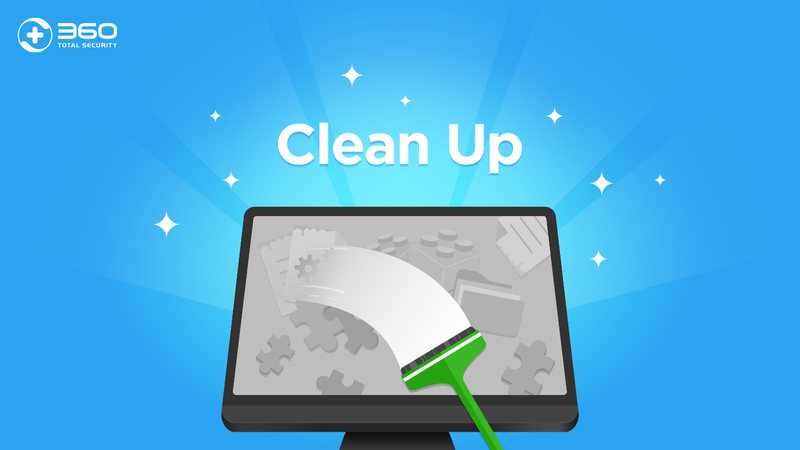 This data destruction utility can erase your deleted files permanently, securing your sensitive data and protecting your privacy. As you may or may not know, when you click “delete” on a file, the system simply hides the file from your sight. 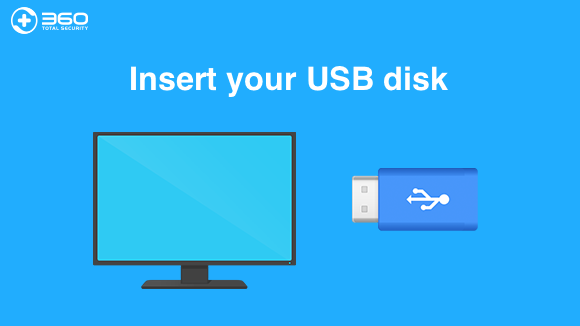 Technically, the file still exists in your hard drive. It is really gone or destructed only when the space to save the file is taken by other data. 360 Data Shredder ensures you a true file removal by overwriting your files with random data multiple times until recovery is impossible. 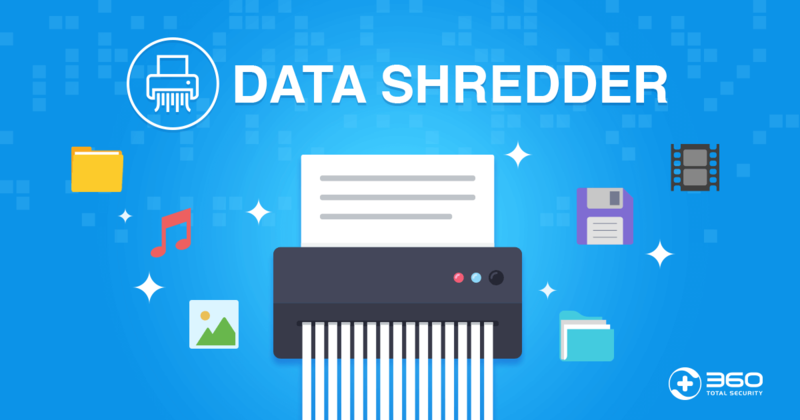 How to use Data Shredder to secure your privacy? 1. Open Data Shredder in Tool Box of your 360 Total Security. 2. Add the files or folders you want to destroy. 3. Select “Shred” to start. – Basic shredding deletes files even when they are occupied. When a file is being used, it is locked by the system and cannot be removed. However, sometimes even if the system process completes, the file still remains locked. 360 Data Shredder is able to delete these locked files. – Prevent recovery deletes and writes nonsense data over the selected files multi-times. – Prevent regeneration is a unique feature designed to remove malware that is hard to clean. 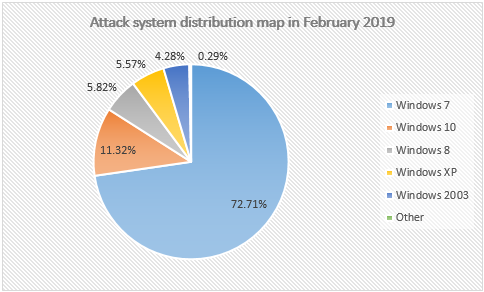 Some trojans try to regenerate themselves to survive your malware removals. Yet 360 Data Shredder monitors and blocks regenerating processes, effectively preventing malware regeneration. 360 Data Shredder wipes out data completely and ceases the possibility of recovery with powerful data sanitization technology. It not only protects your privacy but safeguards your files against malware. Upgrade to 360 Total Security Premium to get Data Shredder today!